Despite the best-laid plans, holiday gift season doesn’t always go as expected. No one knows this better than a retail contact centre agent or store employee, because they hear about every misstep first hand: the missed delivery, the wrong colour, the product disappointment, the confusion about how to use a new purchase. This is the moment for those associates to shine — saving the sale, the brand reputation and the chance to draw that customer back for future purchases. As many as 69% of consumers say they will spend more with a company that has good customer service, while 33% would consider switching to a competitor after just one incident of poor service, according to the American Express Global Customer Service Barometer. Chances are the customer already has tried to get answers or resolve the problem on their own through self-service, so by the time they reach out emotions are running high. Some agents are great at diffusing the tension and guiding the customer to calm resolution, while others fall short; American Express also found the top ways consumers would like to see customer service to improve is addressing needs more quickly (40%) and making a personal connection (18%). Capturing and sharing the tips and insights of outstanding agents helps drive success across the board. Collaborative contact centre solutions provide an easy platform to share knowledge across the workforce as they develop. As new issues emerge, agents can post and share solutions with other agents. When questions are complex, it pays to escalate an inquiry to the internal expert with all the answers. After all, in a Deloitte survey of customer centre executives rated the accuracy and quality of information as the most important attribute of the interaction for consumers. Agents must be able to instantly, seamlessly hand off the customer to a knowledgeable associate — not just product experts, but those in billing, stores, distribution, or others not typically part of the customer support hierarchy. Easy hand-offs also are key to support new hires by shifting challenging calls to more experienced agents. This requires a robust collaboration contact centre solution that incorporates routing capability. Deloitte found 49% of contact centres plan to make a strategic investment in routing solutions by 2019. Consumers are quickly embracing new communication channels such as social and mobile chat. According to Gartner, 25% of customer service and support operations will integrate virtual customer assistant (VCA) or chatbot technology across engagement channels by 2020, up from less than 2% in 2017. Other research finds video chat is also on the rise. Retailers must not only offer a wide variety but be able to seamlessly transition from one to another and pick up the conversation. Unfortunately, just 36% of contact centres can currently do this, according to IBM. Solutions also should allow the customer to reconnect with an agent they have worked with previously. Post-holiday can be the busiest time for a retail contact centre. 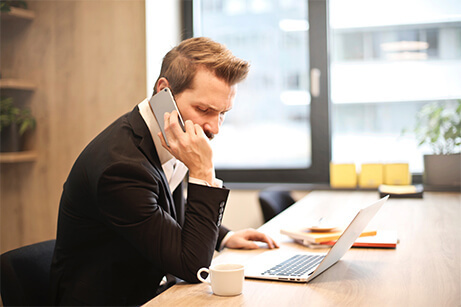 Leveraging cloud-based contact centre solutions enables retails to easily add agents without requiring more seats, supporting contract or home-based agents. Top talent-related initiatives retailers need to address in their contact centres in 2019 include: using analytics to better align staff (73%), expanding training programs (63%) and flexible work arrangements (53%), according to Deloitte. Post-holiday customer support is where retailers are challenged to turn a negative into a positive. Supported by the right tools, agents can quickly connect customers to the solution, save the sale, boost the brand’s image, and drive loyalty to keep shoppers coming back all year long. To explore more about customer pleasing or to speak to RingCentral, why not Register Free here for Customer Contact X 2019?